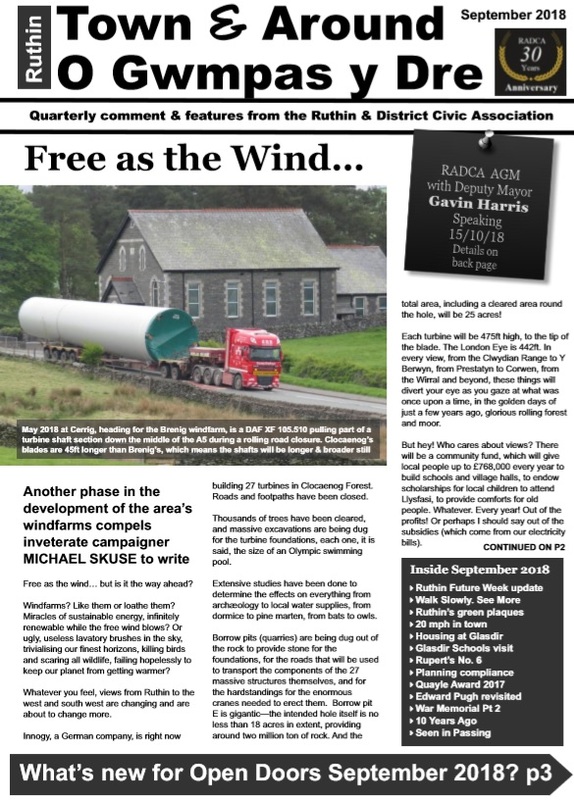 The Ruthin & District Civic Association produces a quarterly newsletter magazine called Town & Around. We deliver this to all our members and in recent years it has been distributed throughou t the whole town once a year before the Heritage weekend in September. The aim of the magazine is to raise awareness of and confront the latest issues in the town and surrounding area. As such, it offers a different perspective to those seen elsewhere. There is no other publication which treats Ruthin like Town & Around. Its 12 pages contain articles of interest to members and the wider community, written by Ruthinians, for Ruthinians.